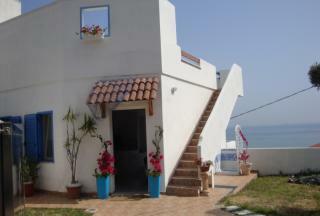 TWO BEDROOM VILLA with TERRACE, FENCED GARDEN and SEA VIEWS. 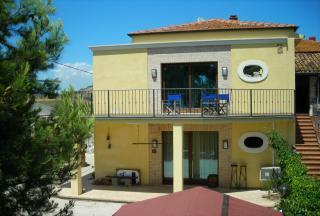 It is in an EXCELLENT LOCATION just a FEW MINUTES from the ADRIATIC COAST and 18 HOLE GOLF COURSE of MIGLIANICO. COMBINING PERIOD FEATURES and CONTEMPORARY STYLE, this BEAUTIFUL, TWO BEDROOM, APARTMENT is located in the much SOUGHT-AFTER TOWN of SPOLTORE. IMMEDIATELY HABITABLE, it has a LARGE TERRACE for AL FRESCO LIVING. The FURNITURE and FITTINGS are available for PURCHASE by SEPARATE NEGOTIATION. An IMMEDIATELY HABITABLE DETACHED HOUSE with TWO BEDROOMS, GARAGE and GARDEN. 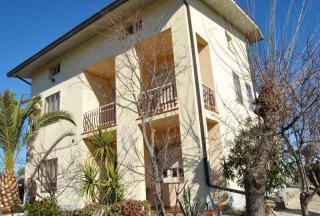 Ideally located CLOSE to the TOWN and BEACHES of the ADRIATIC. 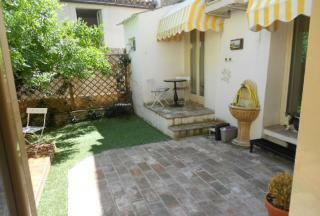 TRADITIONAL, THREE BEDROOM, TOWNHOUSE in the HEART of HISTORIC SULMONA. The property is IMMEDIATELY HABITABLE and has a SUN TERRACE with TOWN and MOUNTAIN VIEWS. It is within WALKING DISTANCE of a LARGE SELECTION of SHOPS, BARS, RESTAURANTS and ANCIENT SITES. OUTDOOR ACTIVITIES are NEARBY. This PROPERTY is a fantastic DETACHED VILLA just 900 metres from the BEACH. It has TWO BEDROOMS and COMES with GARDEN and VIEWS. Ready for IMMEDIATE OCCUPATION. 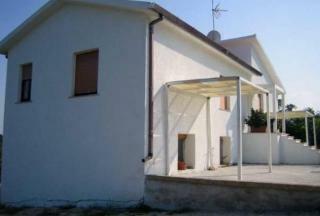 THREE BEDROOM, COUNTRYHOUSE located on the OUTSKIRTS of ELICE with all AMENITIES. The property is on ONE LEVEL and has been RESTORED. 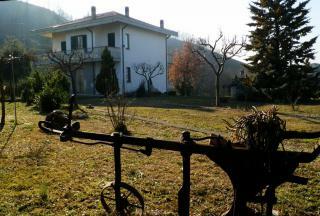 It comes with ANNEX, GARAGES and magnificent VIEWS of the MAIELLA and GRAN SASSO MOUNTAINS. 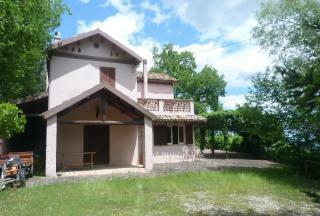 COUNTRY HOUSE located in a PANORAMIC POSITION. It also comes with an ANNEX. The property has been PARTIALLY RESTORED, yet there is plenty of POTENTIAL to INCREASE the LIVING SPACE. 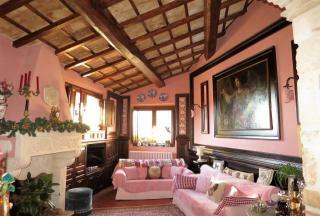 The house is set in THREE HECTARES of LAND, cultivated with both FRUIT and OLIVE TREES. ATTACHED, MODERN STYLE HOUSE in the CENTRE of POPOLI. It is well equipped with THREE BEDROOMS, TWO TERRACES, GARAGE and EXTERNAL PARKING PLACE. The property is IMMEDIATELY HABITABLE and a perfect HOLIDAY or PERMANENT HOME! 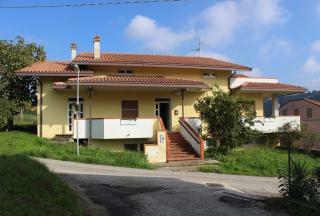 A RECENTLY RENOVATED home in ATESSA which is IMMEDIATELY HABITABLE. It is in an IDEAL LOCATION, close to the SEA. With its THREE BEDROOMS it is a lovely FAMILY HOME and BENEFITS from a GARDEN, TERRACE and VIEWS. 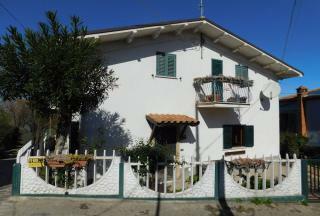 RUSTIC COTTAGE only 5 km from the centre of CASALBORDINO village. It measures 200 square metres and has a BALCONY and VIEWS. 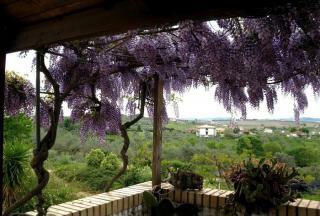 The sale includes more than ONE HECTARE of FLAT LAND cultivated with VINEYARDS. TWO BEDROOM, DETACHED VILLA which is in a PANORAMIC POSITION with FABULOUS VIEWS to the COAST and MOUNTAINS. 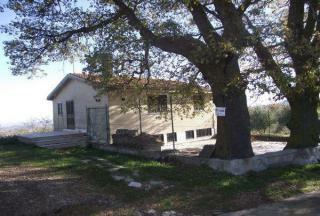 The house has a LOWER FLOOR and ANNEX to COMPLETE which, when CONVERTED, could be used to OPERATE an AGRITURISMO or B&B. It comes with a LARGE TERRACE and LAND. 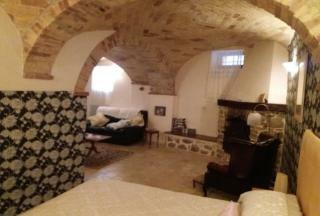 TWO BEDROOM, RUSTIC HOUSE which is built from STONE and has been completely RENOVATED. Located in a TRANQUIL POSITION it offers enchanting HILL and VILLAGE VIEWS and is only TWENTY MINUTES to the ADRIATIC COAST. 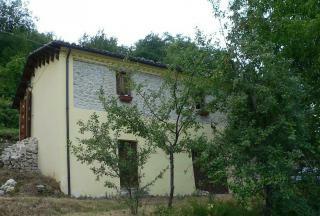 THREE BEDROOM, STONE HOUSE which is IMMEDIATELY HABITABLE but with MORE ROOMS still to RESTORE. It comes with ONE HECTARE of LAND, GARAGE and COUNTRY VIEWS. SPACIOUS HOUSE that NEEDS COMPLETING. It has BALCONIES, TERRACE and GARAGE. The LAND is large enough to INSTALL a SWIMMING POOL, subject to the appropriate approval. There are currently THREE BEDROOMS but with the possibility of ADDING MORE on the top floor. Within 20 MINUTES of the ADRIATIC COAST. THREE BEDROOM, HOUSE with TERRACE and GARAGE. 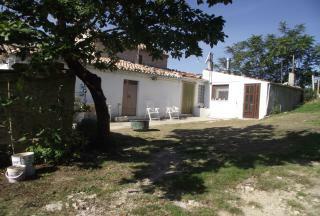 It is LOCATED in the VILLAGE of PREZZA and is surrounded by lovely VIEWS. Although IMMEDIATELY HABITABLE it would BENEFIT from some MODERNISATION and DECORATING. 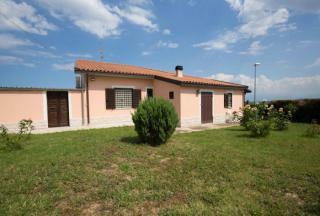 THREE BEDROOM, DETACHED HOUSE located in a PANORAMIC AREA of SERRAMONACESCA. It comes with BALCONIES, COVERED TERRACE and GARDEN for AL FRESCO LIVING. The property would BENEFIT from OUTSIDE RENDERING, otherwise it is in EXCELLENT CONDITION. 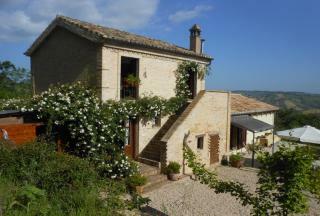 RESTORED, TWO BEDROOM COUNTRY HOUSE with GARDEN, TERRACE and SPECTACULAR VIEWS. There is also a GUEST HOUSE/ANNEX which would be perfect for RENTAL, once completed. LARGE, THREE BEDROOM HOUSE located CLOSE to the DELIGHTFUL, TOWN of LORETO APRUTINO with SHOPS, BARS, RESTAURANTS and PUBLIC TRANSPORT. 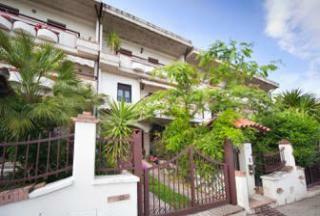 The property has FLEXIBLE ACCOMMODATION, GARDEN and BALCONIES. MUST VIEW! 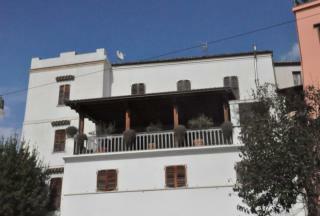 BEAUTIFUL, TWO BEDROOM, APARTMENT with PRIVATE COURTYARD in the SOUGHT AFTER TOWN of SPOLTORE. It is CLOSE to both AIRPORT and BEACH and has been CAREFULLY RESTORED. Excellent PERMANENT or HOLIDAY HOME. 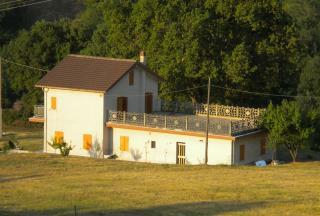 RESTORED, TRADITIONAL FARMHOUSE with THREE BEDROOMS. It has LOVELY VIEWS, BARREL VAULTED CEILINGS, GARAGE, BALCONY and GARDEN. The LAND has OLIVE and FRUIT TREES and PART is BUILDABLE. GOOD PERMANENT or HOLIDAY HOME. 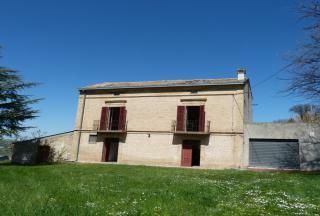 PARTIALLY RESTORED FARMHOUSE with TWO BEDROOMS, TERRACE and LAND. It needs INTERNAL works to COMPLETE. TRADITIONAL FEATURES and PANORAMIC VIEWS. TWO BEDROOM, FARMHOUSE with BUILDING LAND, close to the TOWN of CASTEL FRENTANO with its selection of SHOPS and RESTAURANTS. The property is within a 30 MINUTE DRIVE of the COAST and has POTENTIAL for TWO EXTRA BEDROOMS in the ATTIC. It has LOVELY VIEWS, GARAGE and is a GOOD INVESTMENT OPPORTUNITY. 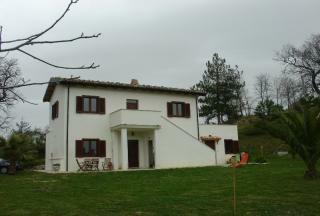 A delightful FARMHOUSE with THREE BEDROOMS, LARGE TERRACE and NINE HECTARES of LAND. It is ideally located in the TRANQUILITY of the COUNTRYSIDE, yet close to the HISTORIC TOWN of GUARDIAGRELE with all AMENITIES. This DELIGHTFUL HOUSE has been carefully RESTORED to incorporate many striking and TRADITIONAL FEATURES. These together, with its THREE ENSUITE BEDROOMS, lovely TERRACE is now a BEAUTIFUL HOME which we HIGHLY RECOMMEND FOR VIEWING. 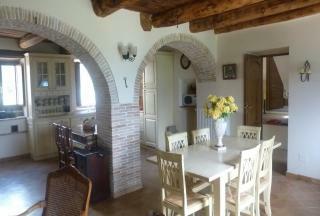 BEAUTIFUL DETACHED STONE HOUSE which is FULLY RESTORED. It has FOUR BEDROOMS/THREE BATHROOMS and benefits from a BALCONY and SUN TERRACE. Internally, the property has EXPOSED BRICK FEATURES and is located in the pretty VILLAGE of MONTEGUALTIERI, less than 30 MINUTES from the ADRIATIC COAST. SPACIOUS COUNTRY HOUSE with much POTENTIAL. The FIRST FLOOR accommodates a LARGE, THREE BEDROOM, APARTMENT whist the ATTIC NEEDS COMPLETING. The property has TERRACES, GARAGES and LAND. VACRI TOWN is just TWO KILOMETRES AWAY. THREE BEDROOM, TOWNHOUSE located in the DELIGHTFUL VILLAGE of SPOLTORE, close to SHOPS, BARS and RESTAURANTS. The property has been RESTORED and many TRADITIONAL FEATURES have been MAINTAINED. The AIRPORT and ADRIATIC RESORTS are only a FEW MINUTES' DRIVE away. 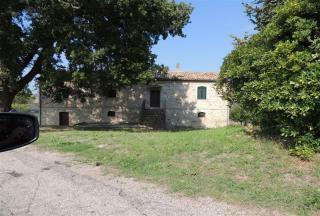 THREE BEDROOM, COUNTRY HOUSE which needs RESTORATION. 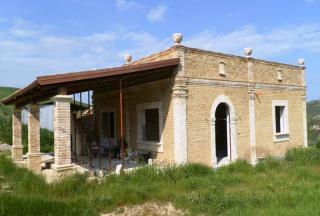 It is in a TRANQUIL POSITION, yet only THREE KMS from the DELIGHTFUL TOWN of LORETO APRUTINO. 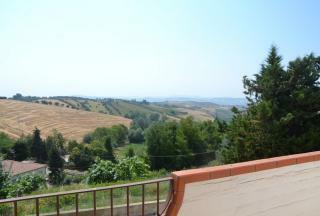 The property has BUILDABLE LAND, TERRACE and AMAZING VIEWS. MARVELLOUS POTENTIAL for a BEAUTIFUL NEW HOME. 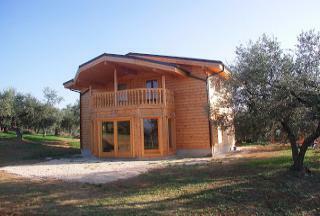 This RECENTLY BUILT ARCTIC PINE LODGE is situated in a green organic OLIVE GROVE, close to the TOWN of LORETO APRUTINO. It has FOUR BEDROOMS, SOLAR PANELS and BALCONIES. Currently, it is an ESTABLISHED RENTAL BUSINESS during the SUMMER MONTHS which could be EXTENDED to an ALL YEAR ACTIVITY. 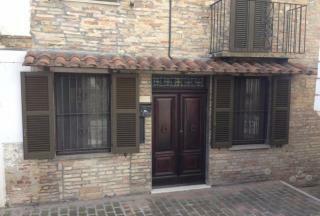 An opportunity to purchase a LARGE PROPERTY in the HISTORIC HEART of LANCIANO, close to all AMENITIES. It is currently DIVIDED into THREE APARTMENTS so would be perfect as a RENTAL INVESTMENT. It is located In good position, WITHIN 20 MINUTES of the ADRIATIC COAST. Excellent value. RESTORED, COUNTRY HOUSE which has been PARTLY RESTORED to PRESERVE ORIGINAL FEATURES. The FIRST FLOOR is now an APARTMENT with TWO BEDROOMS whilst the GROUND FLOOR still needs to be COMPLETED. It could be CONVERTED into a SECOND APARTMENT. The LAND measures 3.7 HECTARES. STUNNING POSITION. 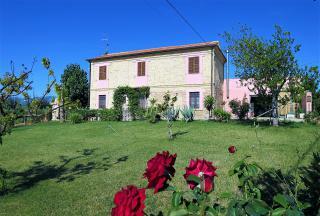 LARGE, COUNTRY HOUSE located in a DELIGHTFUL AREA close to ROCCAMORICE. It has SIX BEDROOMS, OUTBUILDINGS and LAND, with the possibility to BUY an ADDITIONAL FOUR HECTARES with OLIVE TREES and VINEYARD. IMMEDIATELY HABITABLE, the house can be used as a PRIVATE RESIDENCE or for TOURISTIC PURPOSES. 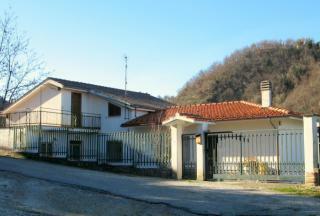 FIVE BEDROOM, DETACHED HOUSE which is LOCATED close to the TOWN of NORETO with its CHOICE of SHOPS and RESTAURANTS. The house has a GARAGE, TERRACES, VIEWS and is IMMEDIATELY HABITABLE. It is only a SHORT DRIVE to the ADRIATIC COAST. The LAND is CULTIVATED with OLIVE and FRUIT TREES. Delightful 3 BEDROOM DETACHED HOUSE close to the lovely TOWN of ELICE with RESTAURANTS, COFFEE BARS and LOCAL SHOPS. 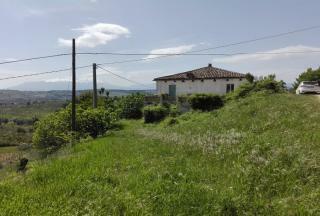 The property has SPECTACULAR VIEWS of both the Maiella and Gran Sasso MOUNTAIN RANGES. It has OUTSIDE SPACE for ENTERTAINING and RELAXING and there is ample PARKING for several cars. An amazing OPPORTUNITY to own a FOUR BEDROOM VILLA with SEA VIEWS. 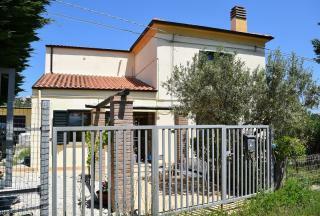 It is LOCATED close to the ADRIATIC COAST and the BEAUTIFUL TOWN of SAN VITO. 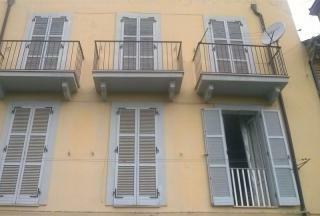 The property has BALCONIES, TERRACE and FENCED GARDEN. RECENTLY REDUCED in PRICE, this property constitutes EXCELLENT VALUE. 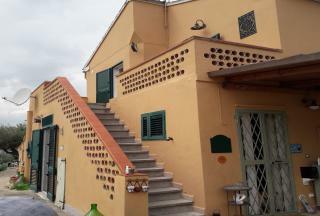 ATTRACTIVE, THREE BEDROOM, TOWNHOUSE LOCATED just 50 METRES from a MAIN PIAZZA of ROCCASICURA. 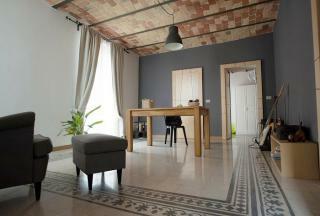 The property is IMMEDIATELY HABITABLE and has REFINED FURNISHINGS. The sale INCLUDES all FURNITURE. 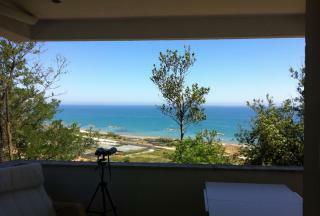 CHARACTERISTIC VILLA with STUNNING VIEWS to the SEA. It has THREE BEDROOMS, COURTYARD, LARGE GARDEN and LAND. It is in a TRANQUIL LOCATION and is RECOMMENDED for VIEWING to APPRECIATE the surrounding BEAUTY. LARGE, TRADITIONAL HOUSE with many CHARACTERISTIC FEATURES. It is the HISTORIC, HILLTOP, TOWN of TRIVENTO. The property has a LARGE NUMBER OF BEDROOMS and PAINTED FRESCOES on the CEILINGS, it could EASILY be OPERATED as a B&B after some COSMETIC WORKS. 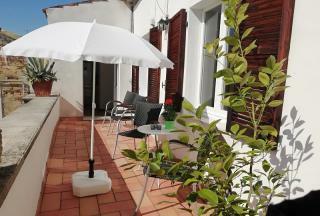 THREE BEDROOM APARTMENT with PRIVATE GARDEN in the HEART of PENNE. Although CONTEMPORARY in style and FITTINGS, many TRADITIONAL ELEMENTS have been MAINTAINED in the RESTORATION to make this such an INTERESTING and EXCITING apartment. It is a RARE FIND and EXCELLENT VALUE. Highly recommended. 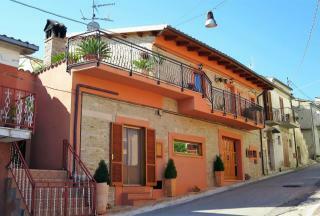 LARGE, DETACHED HOUSE, CLOSE to the HISTORIC CENTRE of SILVI ALTA/PAESE with its AMENITIES. The property comes with FIVE BEDROOMS, TWO BATHROOMS and SMALL GARDEN. The BALCONIES provide PANORAMIC SEA and MOUNTAIN VIEWS. LARGE THREE BEDROOM HOUSE with POTENTIAL to CREATE a GROUND FLOOR APARTMENT. The property has LAND, BALCONIES, GARAGE and FABULOUS VIEWS. It is just THREE KILOMETRES from ARSITA VILLAGE. There is SPACE to INSTALL a SWIMMING POOL.